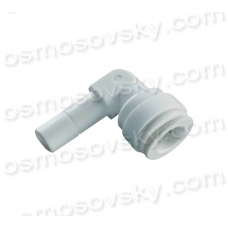 Corner adapter QC-7018 with 1/4 inch liner and quick accession to 1/4 inch tube. 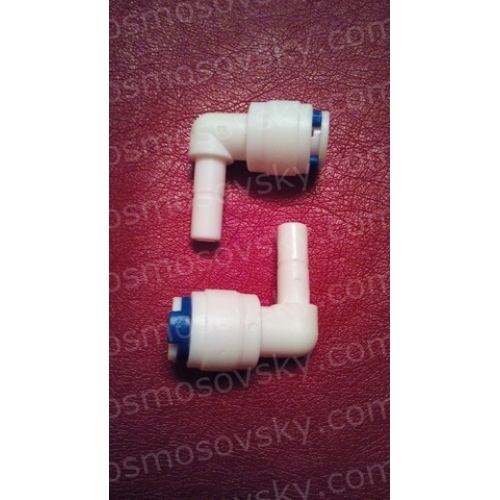 Typically used for connection to the fitting housing prefilter, built-in fittings post-filter, mineralizing agent, bioactivator. Buy corner reverse osmosis QC-7018, you can place your order on our website or contact us in any convenient way for you.